Here we have a fine piano made by George Rogers of London. 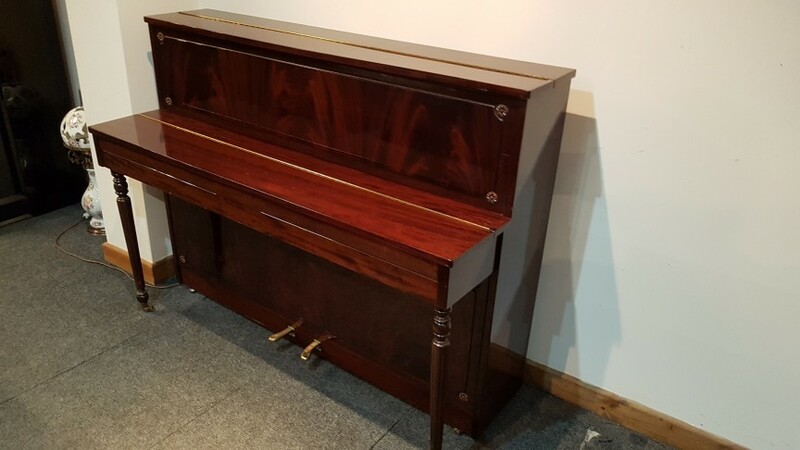 The instrument comes in a Regency high gloss mahogany cabinet, with a clean 88 note keyboard. We give a 12 month GUARANTEE, FREE local DELIVERY and first TUNING.